Ralf Speth, CEO Jaguar Land Rover, in conversation with LIASE Group Non-Executive Board Member Vic H. Doolan. 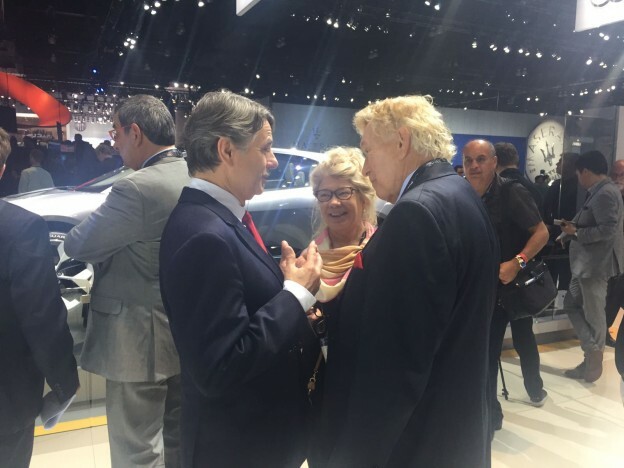 LIASE Group Managing Director Asia Vanessa Moriel and Non-Executive Board Member Vic H. Doolan attended the Los Angeles Auto Show Press Days, called Automobility LA, on November 16 and 17, 2016. The two day visit was an opportunity to meet up with executives, leaders and professionals from the automotive and transportation industries. 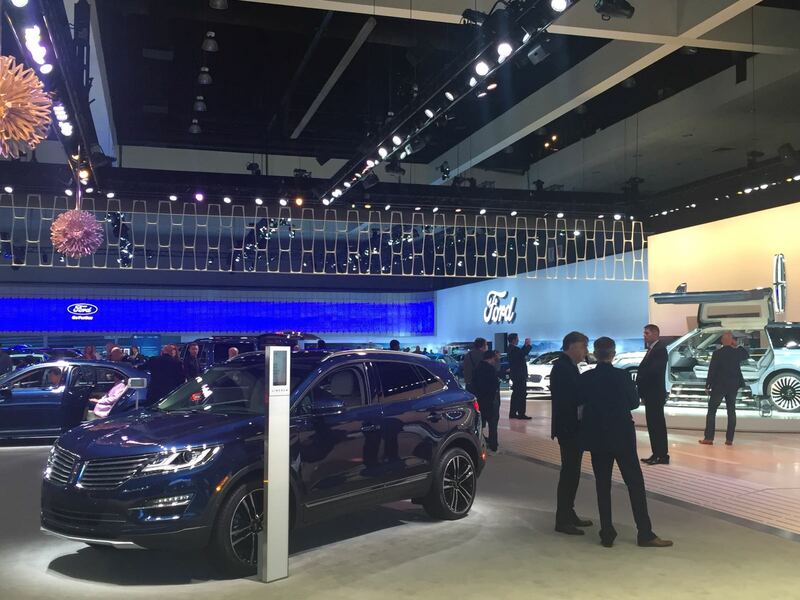 Automobility LA is one of North America’s largest auto industry trade shows. The 4-day press and trade event comes just before the public opening of the L.A Auto show. 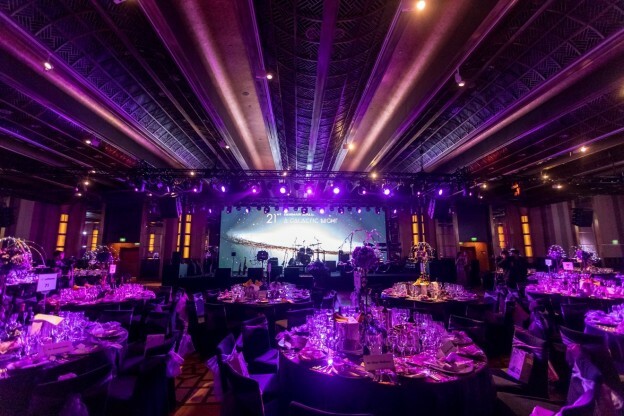 This year’s edition featured presentations from industry leaders, new car reveals, test drives, as well as discussions about several important advancements in automotive technology. Many of the presentations at the event underlined that the transportation industry is rapidly evolving as a result of growing city populations and congestion. 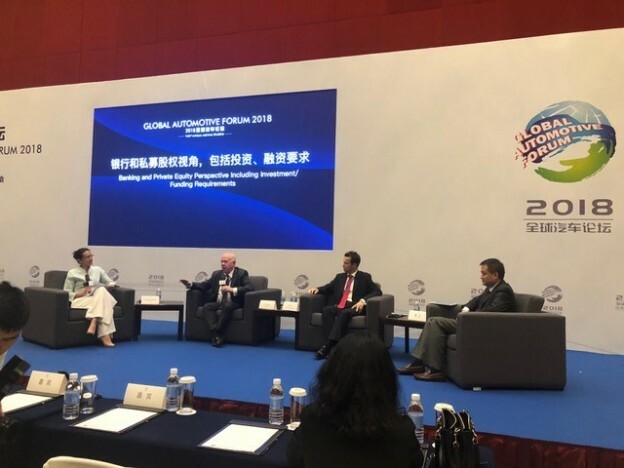 Speakers also noted the rise of new transportation options as well as changing consumer needs and tastes as drivers of industry transformation. Automotive companies will have to adapt to the changing landscape and become both auto and mobility companies. 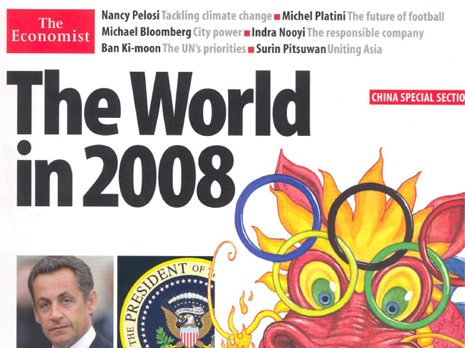 The way that cities are designed and built will have to take these evolving trends into account. Self-driving and electric cars, as well as on-demand services will all play an important role in the evolution of the automotive and transportation industries. 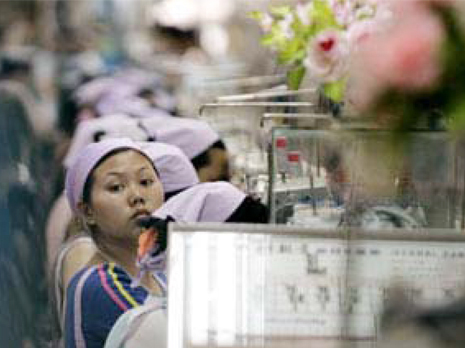 However, there will need to be an accompanying ecosystem that supports the mainstreaming of these new vehicles and services, including tax incentives, government regulations, and practical considerations such as recharging times and grid connectivity. 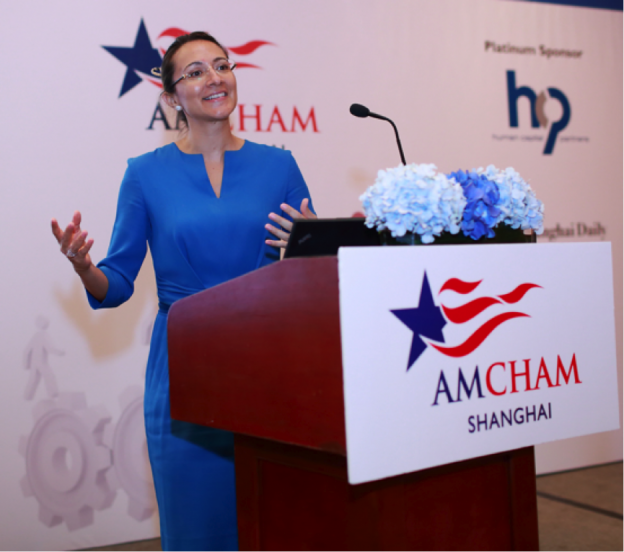 The speaking list featured American automotive industry leaders as well as new technology actors that are trying to rewrite the rules of the sector. Los Angeles is one of America’s largest markets for luxury cars and the L.A Auto Show did not disappoint with its display of luxury vehicles. Mercedes revealed its new Mayback S650 convertible, of which only 300 models will be made. Porsche featured its Panamera 4 E-Hybrid and Jaguar introduced the Jaguar i-Pace. 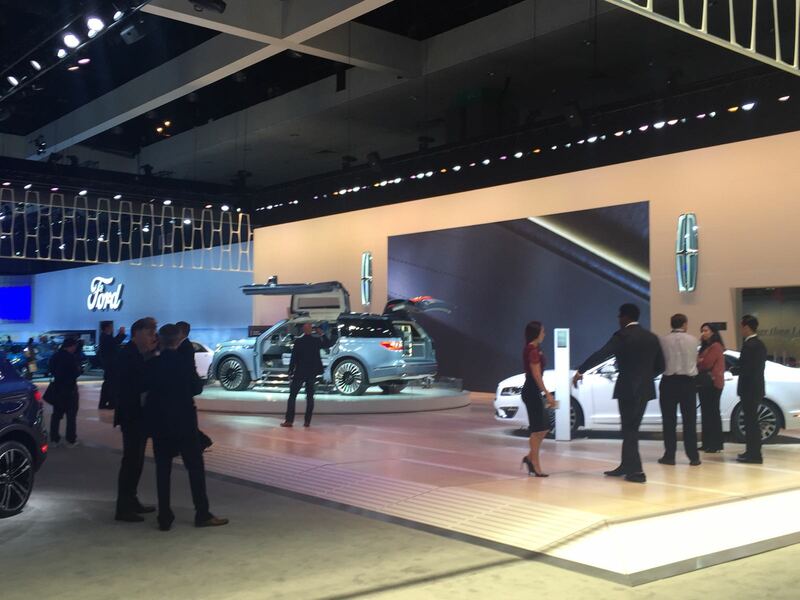 But what dominated the Los Angeles Auto show were crossover utility vehicles (CUVs). Reveals at the show included Mazda’s second generation CX-5 compact SUV/crossover, Jeep’s new 2017 Compact SUV, Alfa Romeo’s Stelvio SUV and Subaru’s Viziv-7 Concept, a seven-seat CUV. Green car and environmental issues were also an important part of the event. The Chevy Bolt EV won the 2016 Green Car of the Year Award. Safety was also addressed at the auto show. Automotive company executives underlined that although their cars were built with increasingly advanced safety equipment and driver assistance systems, it was important to raise awareness about driving carefully and avoiding distractions such as texting. 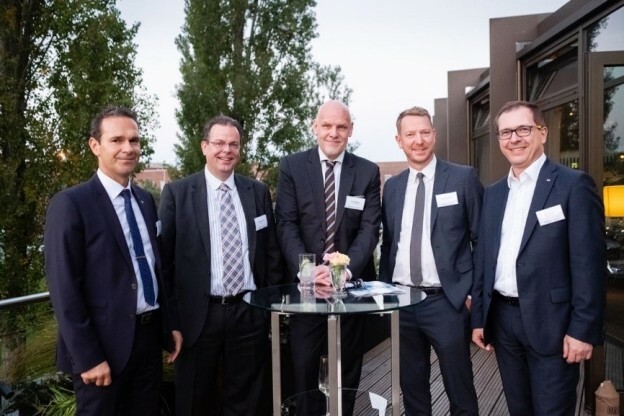 Like in previous years, the event was a great opportunity for the LIASE Group to discuss advances and trends in the automotive industry with leaders and executives from the industry. 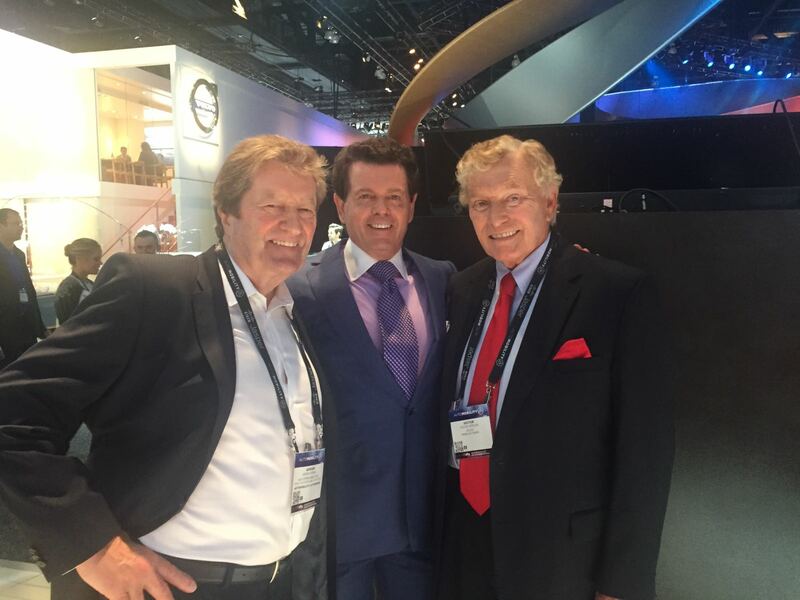 LIASE Group Non-Executive Board Member, Vic H. Doolan (right), poses for a picture with Gerry McGovern, Land Rover Chief Design Officer (center). 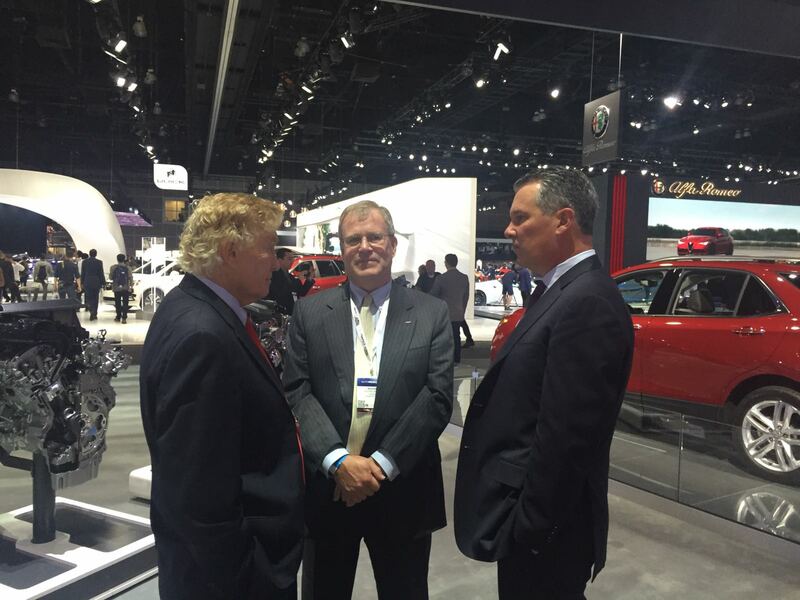 LIASE Group Non-Executive Board Member Vic H. Doolan with GMC executives. 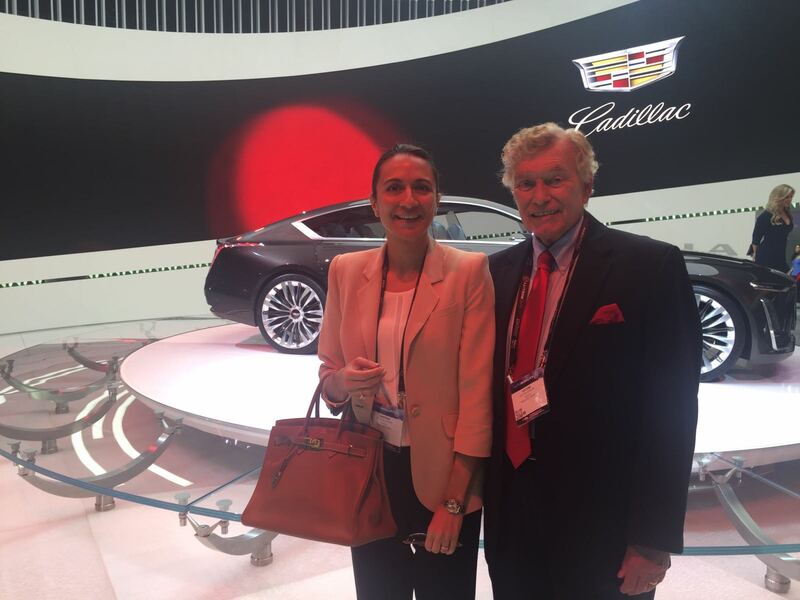 LIASE Group Managing Partner Asia, Vanessa Moriel, and Non-Executive Board Member, Vic H. Doolan, pose for a picture in front of the Escala Concept at the LA Auto Show. 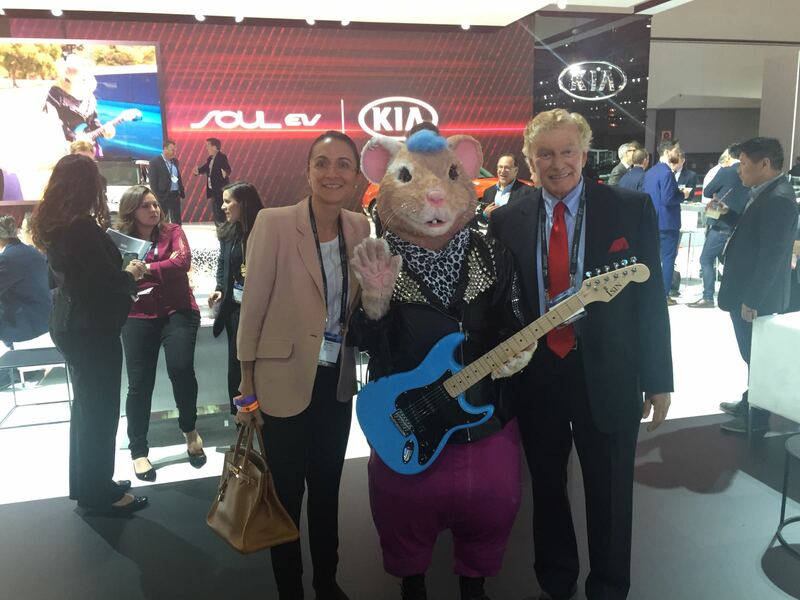 LIASE Group Managing Director Asia Vanessa Moriel, and Non-Executive Board Member Vic H. Doolan take a picture with one of the KIA hamsters featured in KIA ads in recent years. 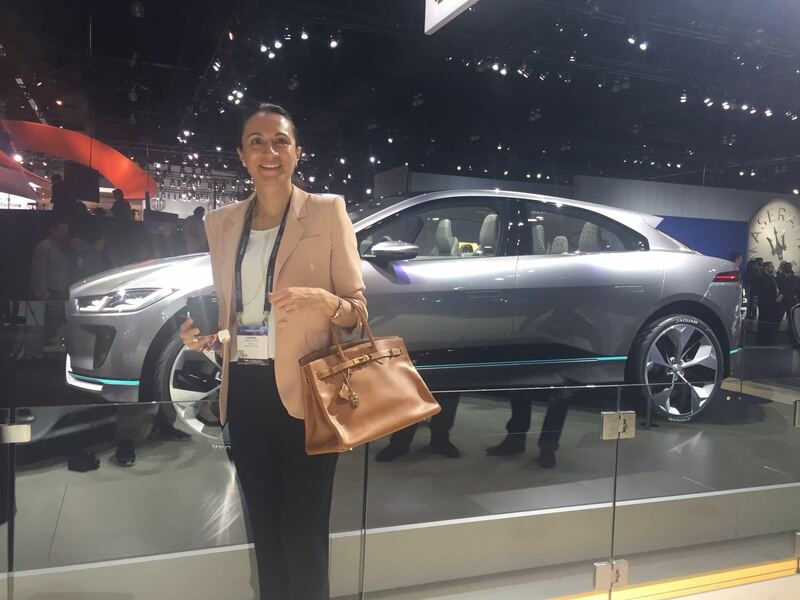 LIASE Group Managing Director Asia Vanessa Moriel stands in front of the Jaguar I-PACE Concept which made its North American debut at the LA Auto Show in 2016. The I-PACE is Jaguar’s first fully electric car. Steve Banfield CEO of BMW ReachNow, speaking at LA AutoMobility. BMW’s alternative mobility platform announced its expansion into Brooklyn, NY and debute its solutions for residential buildings. 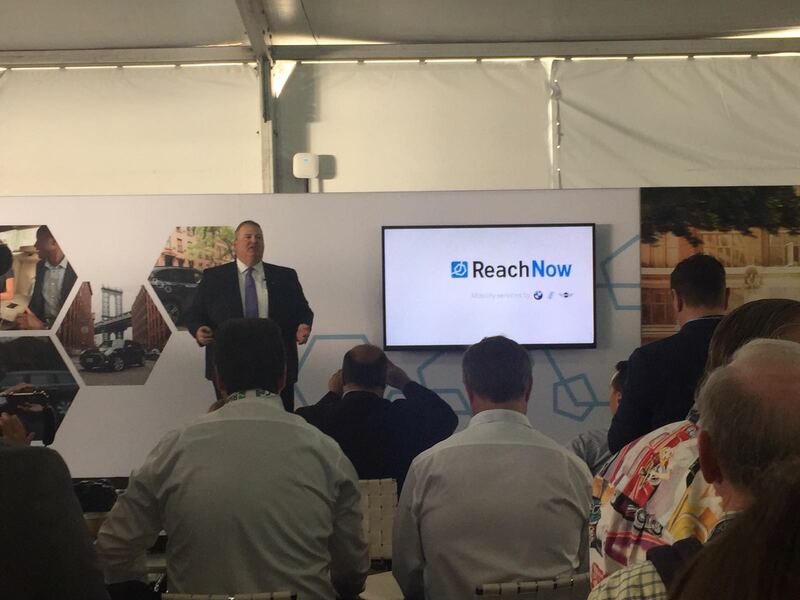 Brooklyn is ReachNow’s first foothold into the American East Coast. 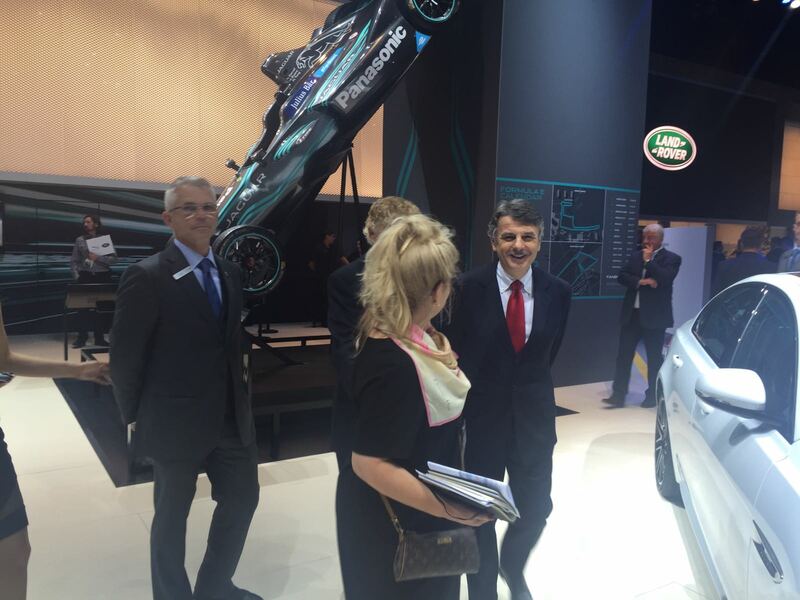 Jaguar Land Rover CEO Ralf Speth walks in front of Jaguar Racing’s formula-E vehicle with LIASE Group Non-Executive Board Member Vic H. Doolan (hidden). 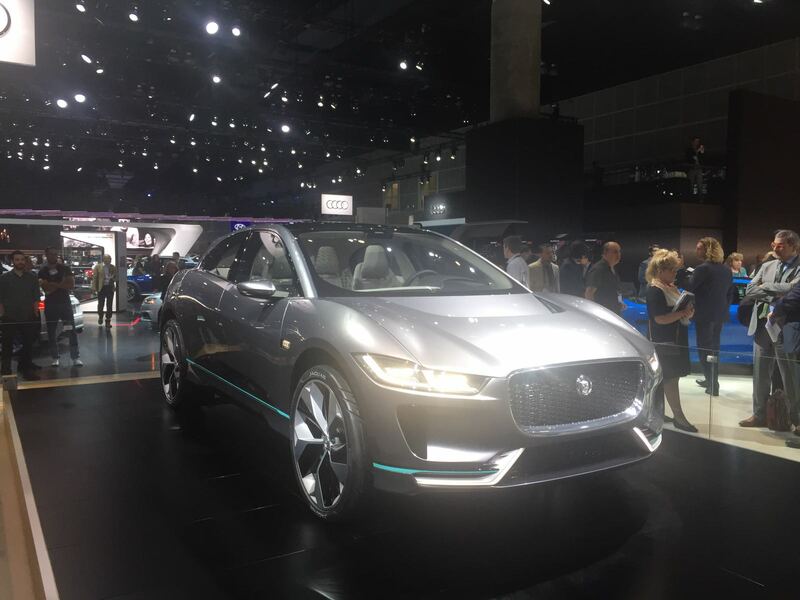 Another view on the Jaguar I-PACE Concept. 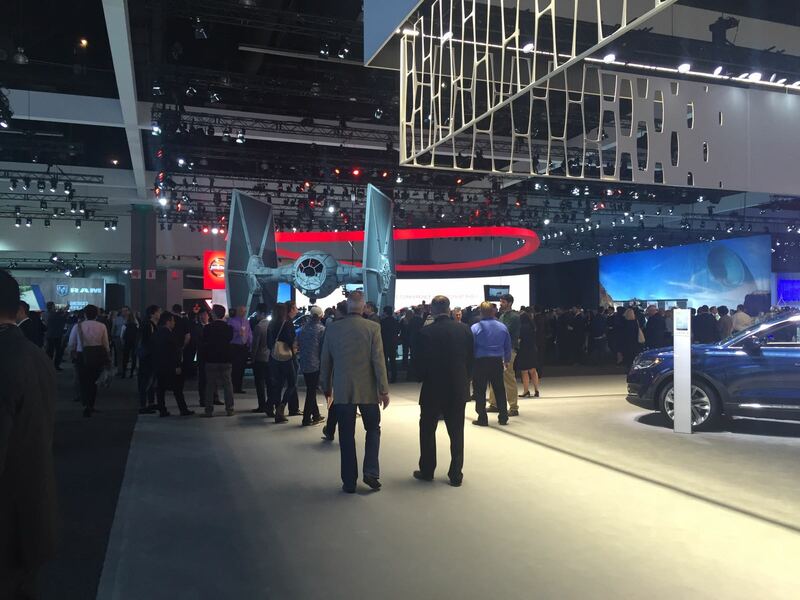 Los Angeles is the home of Hollywood, and the Tie Fighter made an appearance at the Auto Show. The baby blue Lincoln Navigator concept was on show at the 2016 LA Auto Show. With its vertical-lift doors, the concept stroke many car lovers as a show-stealer. 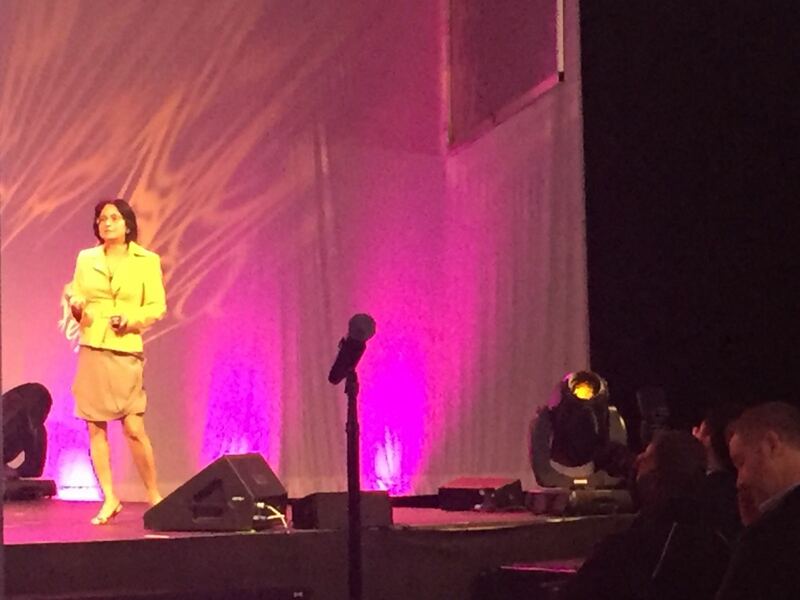 Padmasree Warrior, CEO and chief development officer of NextEV USA speaking at Automobility LA. 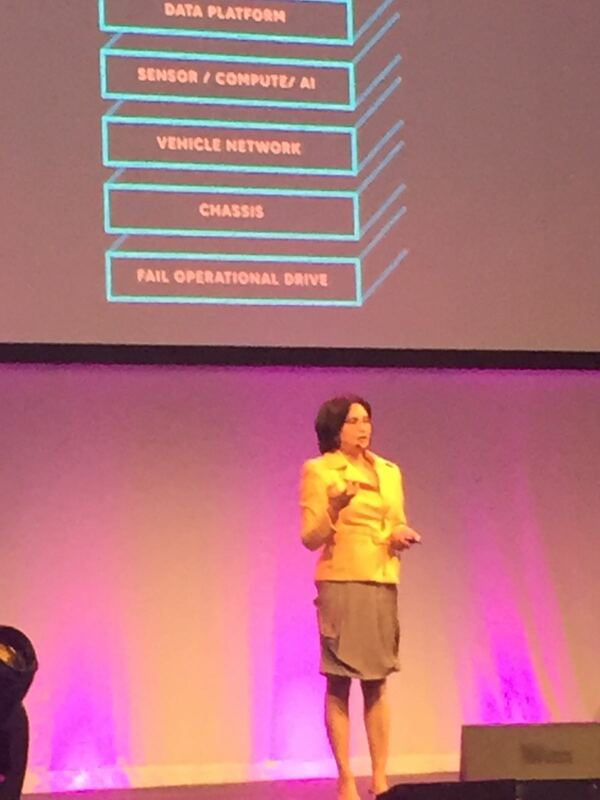 Ms. Warrior, CEO spoke about the current state of the automotive industry. With a broad overview of the problems plaggueing the industry (congestion, highway fatalities, emissions and changing usage and ownership models), she introduced NextEV’s vision of driving to be built around the car as a safe, green companion. 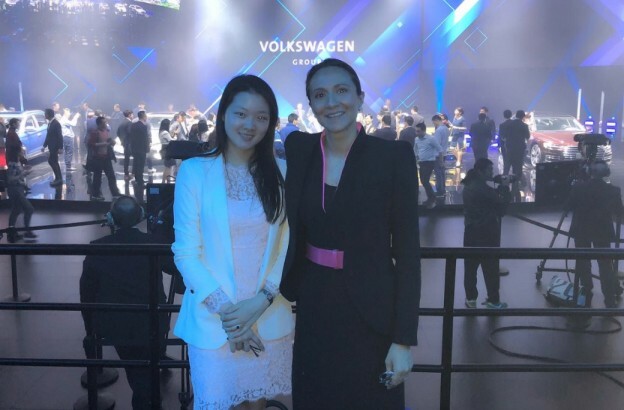 She noted that innovation should be focused on safety and autonomy to give back time to consumers and restore the car as an object of aspiration. Ford debuted the new Ecosport SUV at the LA Auto Show. The new SUV targets environmentally conscious millennials and older baby-boomers looking for a small sized SUV. 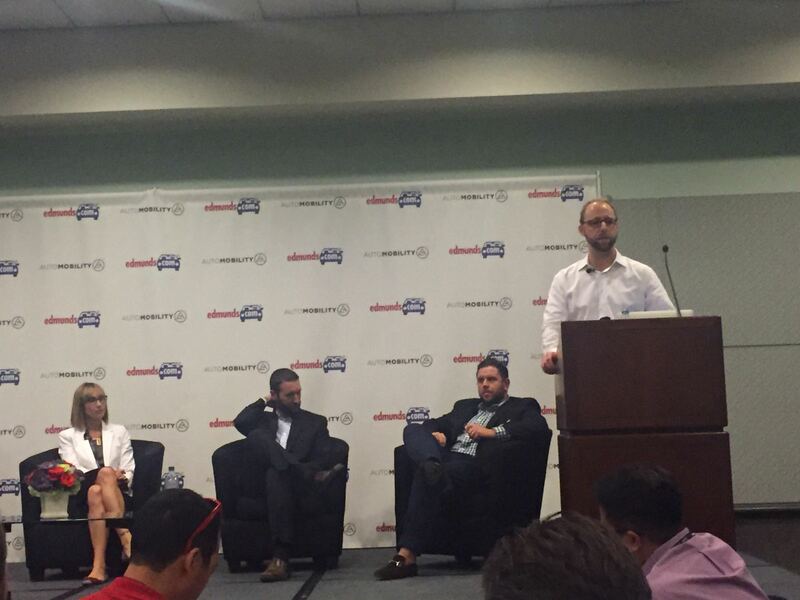 Edmunds & Facebook panel at Automobility LA. 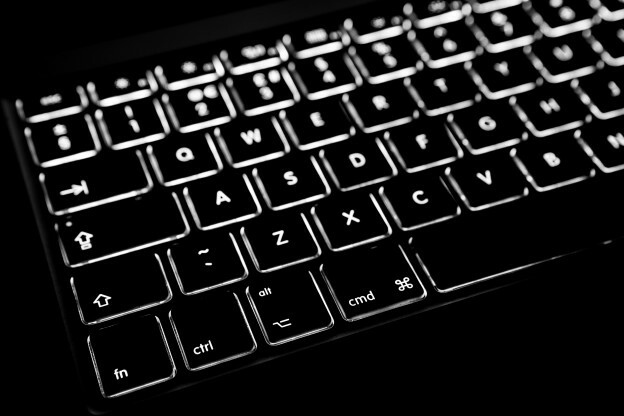 How messaging chatbots & AI will transform automotive retail.